The glass tank — 25.6 inches wide and 59 inches long — holds 165 gallons of saltwater weighing more than 1,400 pounds not including the weight of the tank. 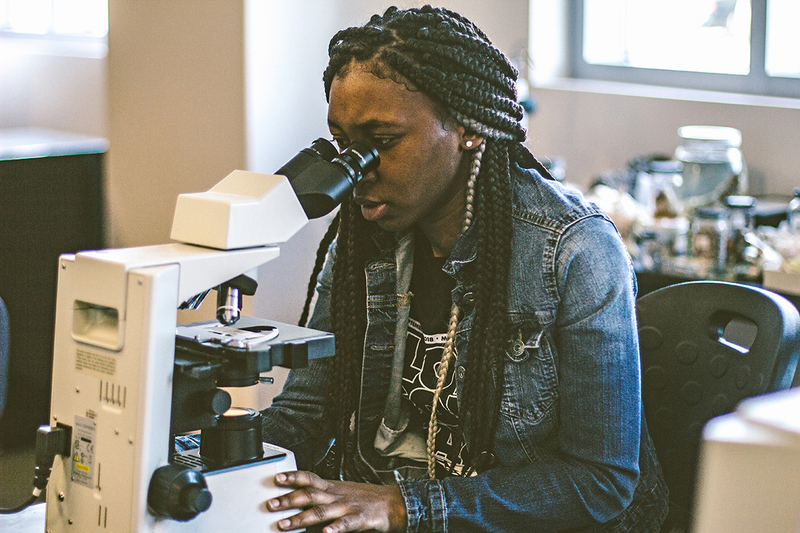 Students taking invertebrate zoology and marine biology classes in an MTSU Science Building teaching laboratory are recipients of the inland aquatic education though they’re hundreds of miles from the Atlantic Ocean and Gulf of Mexico. 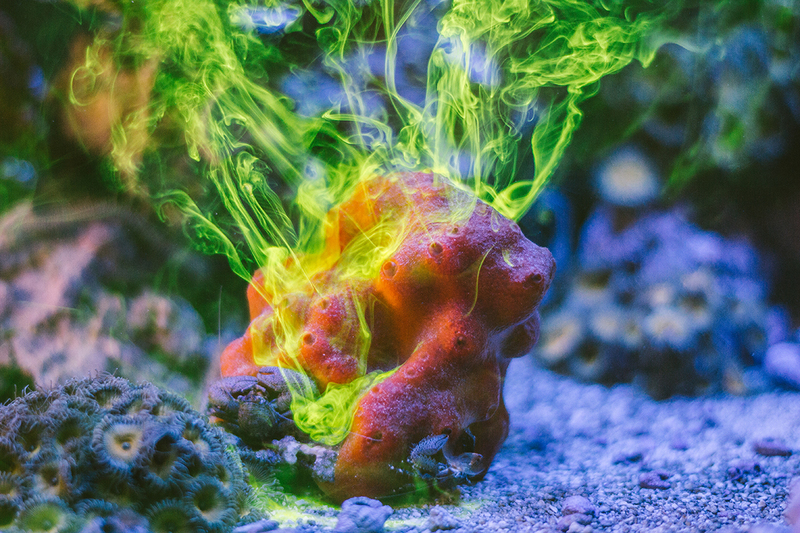 A number of corals, sea anemone, sea urchins, crabs, rocks, echinoderms, marine snails, flatworms, polychaetes, cuttlefish and hummingbird or bobtail squid are among the marine life found in the tank. The tank and its contents are the brainchild of Jeremy Smith, 27, an undergraduate teaching assistant who helped the biology department secure everything for about $5,000. At home in Smyrna, Tennessee, earlier this decade, Smith started breeding fish with a fresh-water tank, then converted to saltwater eight years ago. 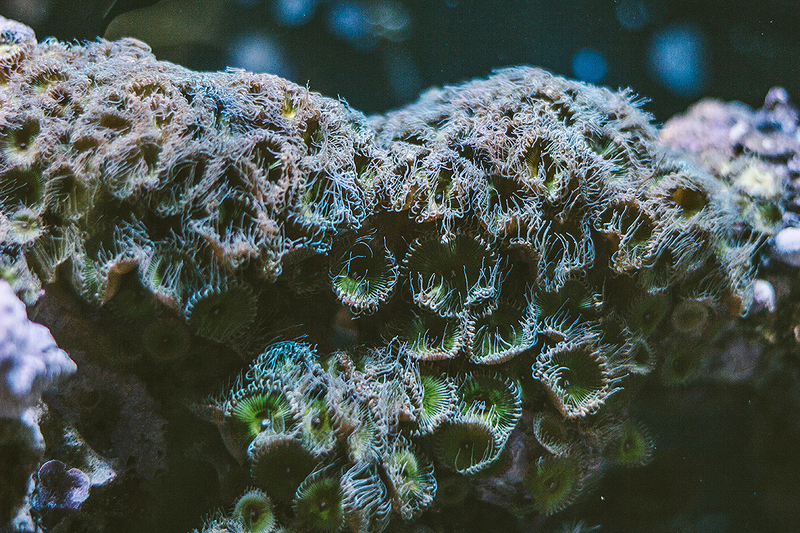 He incorporated corals, which became a passion. In 2017, he convinced Howard, who, in turn convinced and the biology department to make the investment. Professor Jeff Leblond said the tank “is a great tool to show the (marine biology) students live marine organisms living together. It is a nice complement to the lab exercises, where we dissect preserved animals.” He is utilizing the tank for the first time with the 20 undergraduate students taking the course. 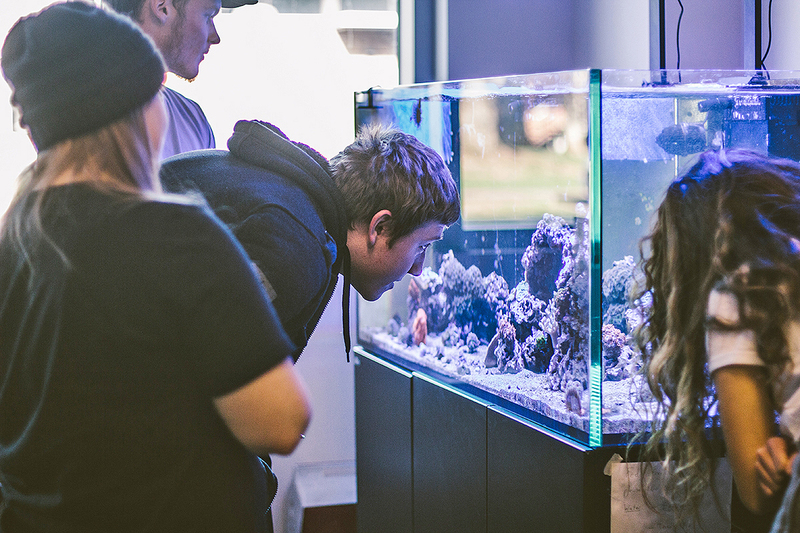 The students, some of whom are taking both classes this semester, and others are getting to experience the educational value of the tank’s aquatic life. “The tank has given better context to the material covered in class, and we have used it in a number of lab exercises; it is a miniature marine system,” Pugh said. Pugh said the aquaculture hobby is quite a lucrative industry — that cultivated coral fragments can sell for a high price. “The tank also has the capacity to inspire students to pursue the study of freshwater, aquatic environments,” he added. Including marine biology and invertebrate zoology, MTSU has more than 300 combined undergraduate and graduate programs. Biology is one of 11 College of Basic and Applied Sciences departments.